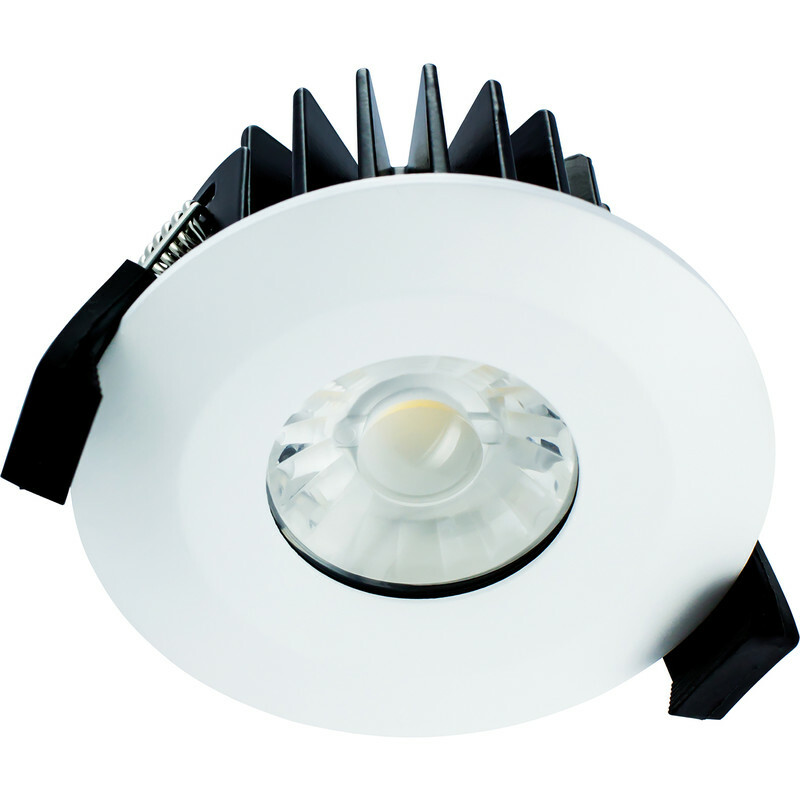 Integral LED Integrated Fire Rated IP65 Downlight 6W 36° Warm White 430lm is rated 4.5 out of 5 by 8. Rated 5 out of 5 by Simon1957 from So far, so good. Easy to install (albeit a bit tedious, with 45 of them to do! ), look great and we're getting used to the light being a slightly different colour to the old halogen downlighters. Ask me again in 75,000 hours time! Rated 5 out of 5 by rwoods from Great LED downloghts I've got 25 of these throughout my house. Not had any issues, easy to fit and provide a great lumen output. For the price, I couldn't ask for more. Fire rated and dimmable too. Rated 2 out of 5 by ayemonkey from returned Brought these ro replace bathrooms lights, electrician installed the first one but without touching it, it would either turn on or off by itself, didn't test the rest and returned for mains gu10 spots without transformer. Rated 5 out of 5 by Superbike from Good info enough to make a decision Great product clean modern styling great light emitters very easy to fit and wire, first class product going to retrofit our bathroom at home! Rated 5 out of 5 by Mariner from Integral LED Downlight The Integral Led 5W downlight had a solid well designed feel and came complete with installation instructions. On fitting it met all expectations.